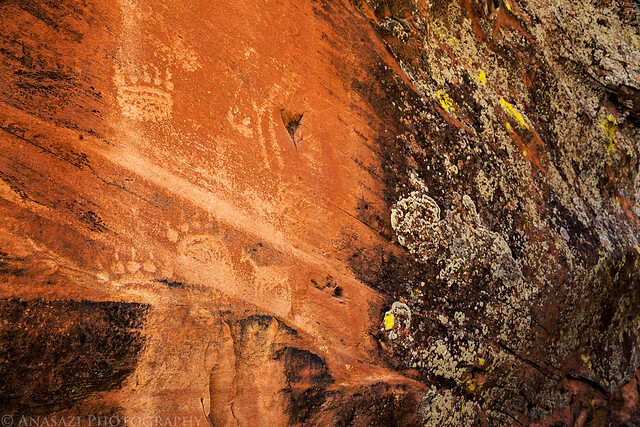 On the back of the main boulder there were a few faint bear paw petroglyphs next to some nice lichen. 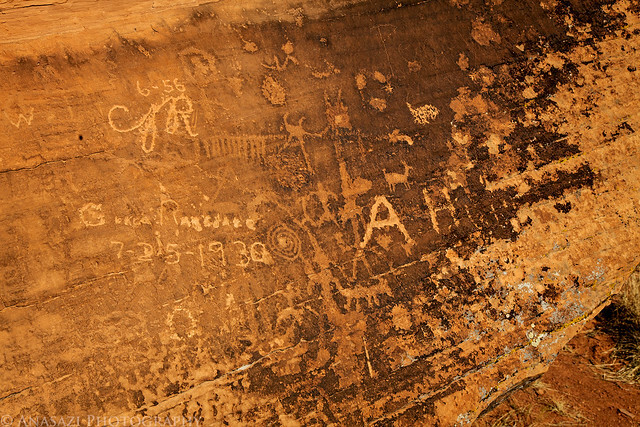 The front of the main boulder had a bunch of faded petroglyphs that have been vandalized over the years. Triangle body with big hands. 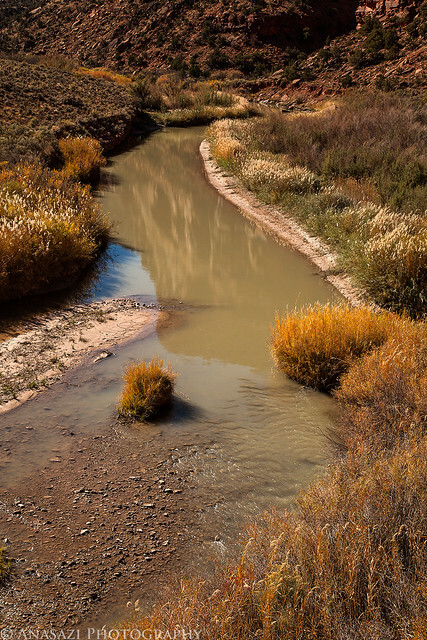 After checking out the petroglyphs and thoroughly searching other boulders in the area for more, I continued my hike along the Dolores to it’s confluence with La Sal Creek. Look closely and you can see a reflection of the canyon towering above. 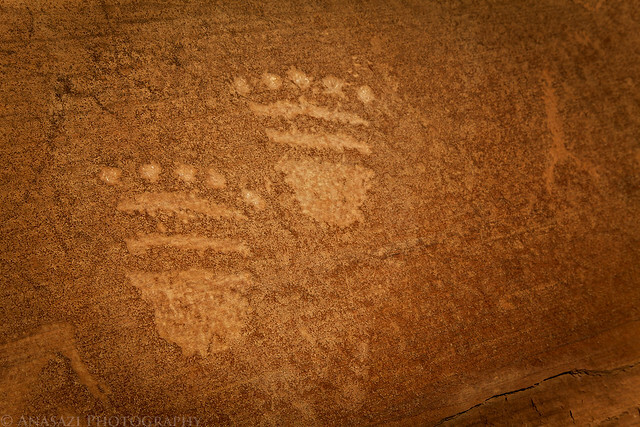 When I reached La Sal Creek I searched the area for rock art and tried to continue my hike up along the creek. 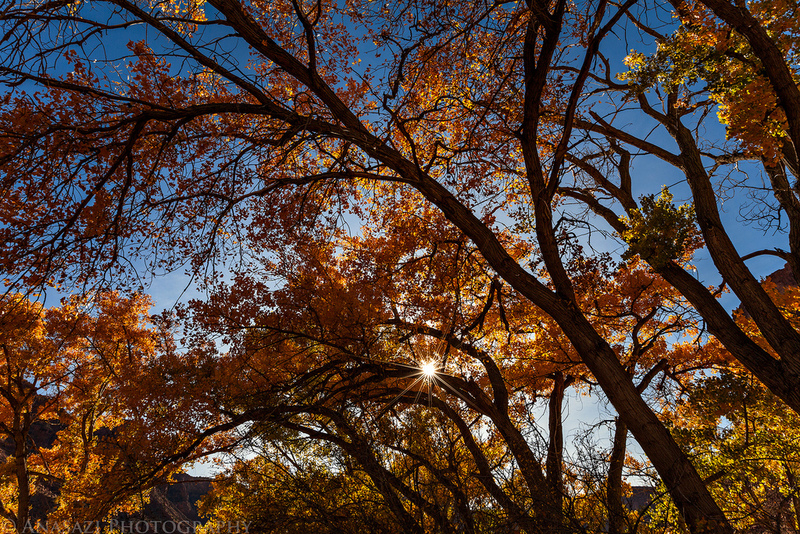 At first there was a faint trail through the thick brush, but it soon disappeared. I was faced with the decision to either bushwhack my way up the canyon or turn around and head back. I wasn’t really feeling like bushwhacking at this time, so I turned back. 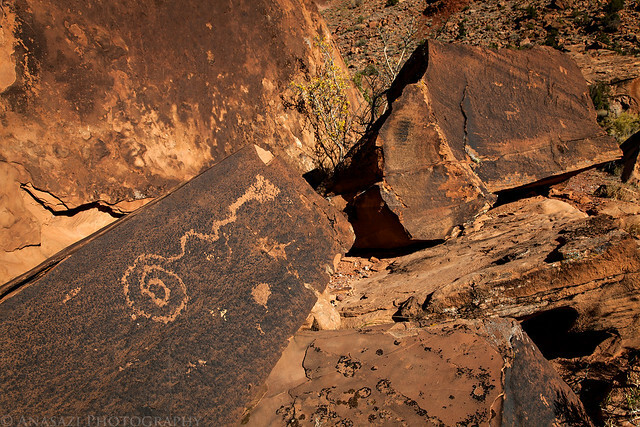 On my way back I decided to check a few more boulder for petroglyphs, and I’m glad I did. I ended up finding this large boulder with a layer that looked like petrified mud which had small tracks all over it. 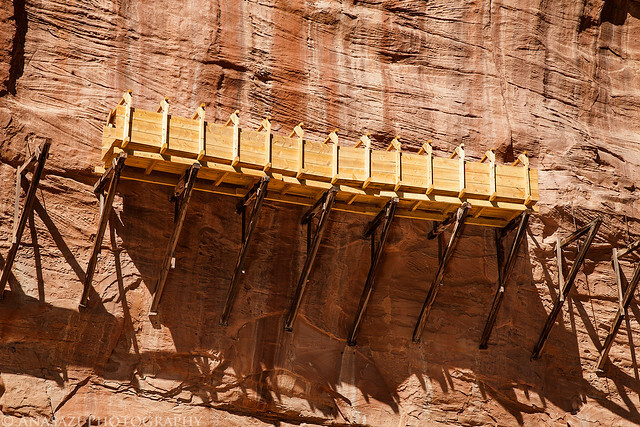 If you look closely at the photo below you will see at least nine of these tracks. 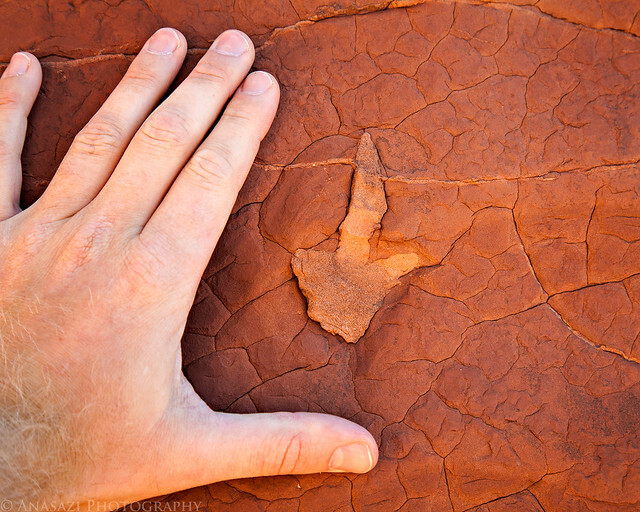 From what little online research I have done, it appears that these are possibly small dinosaur tracks. 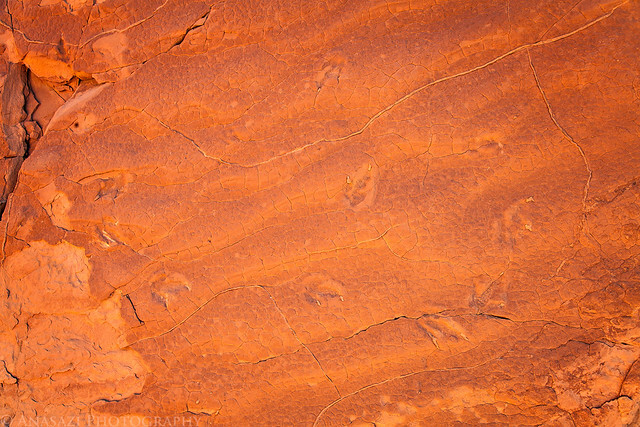 I’ve seen plenty of dinosaur tracks in sandstone before, but what was really unique about this site to me is that some of the tracks were still filled with the layer of sandstone that was deposited over them and helped preserve them. This is something I have not seen before, and it helps me really visualize the process in which these tracks were preserved and then revealed again. The photo below shows this well, and I have included my hand for some scale. Hiking back along the old road towards my Jeep and Paradox Valley in the distance. On my way back to the highway I stopped to take a photo of the rebuilt section of the Hanging Flume above the San Miguel River. I have been to this site before, but not since they rebuilt this small section in the spring. 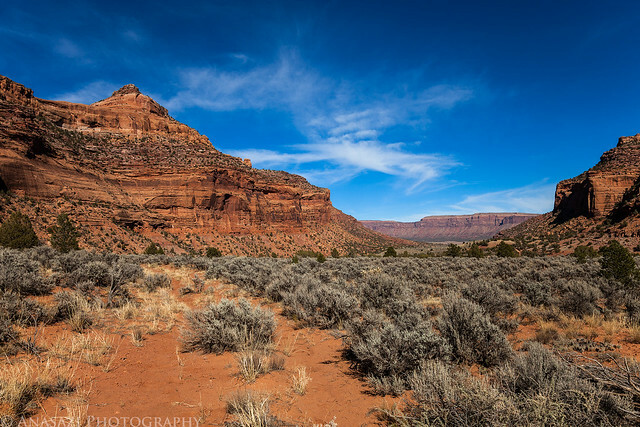 As I was driving through Gateway on my way back home, I decided to take another side trip along the Dolores River into Utah since I still had plenty of daylight left. 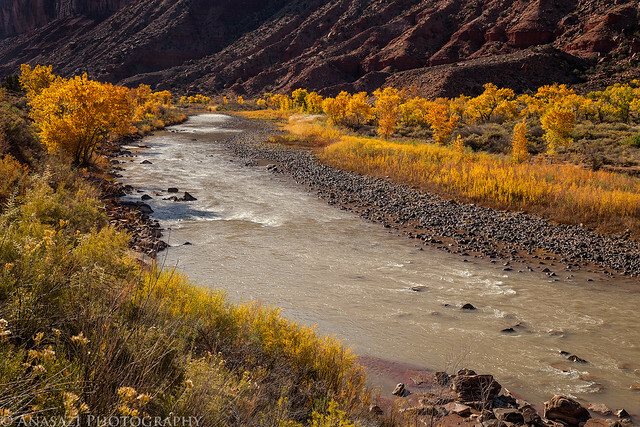 There was still some nice fall color along the Dolores river near the Colorado – Utah state line. 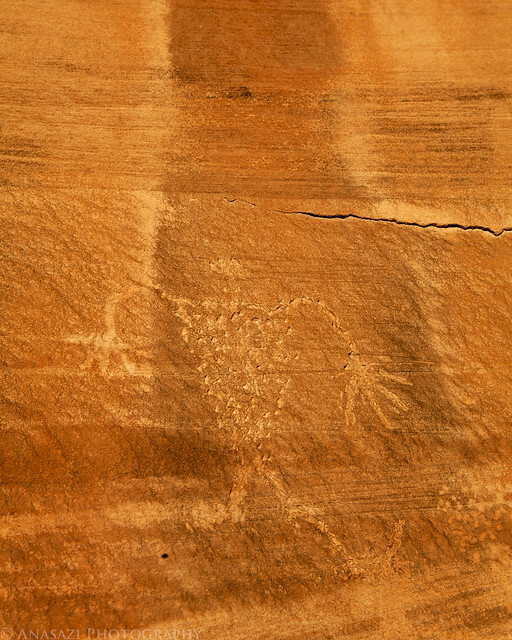 I even managed to find a few more petroglyphs that I had not seen the last time I drove down this road. 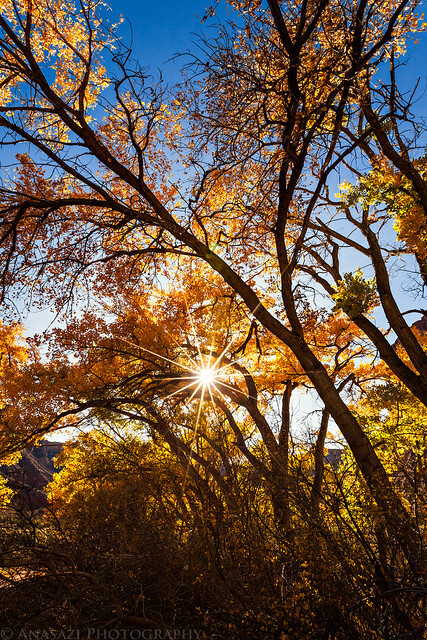 A sunburst through cottonwood trees displaying their fall colors. 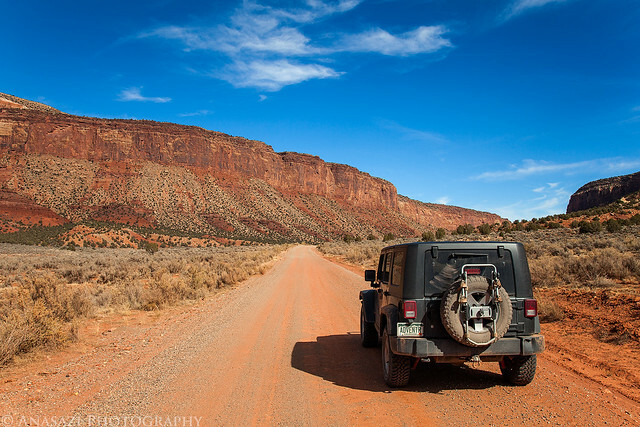 After a burger from the Paradox Grille at Gateway Canyons Resort I continued my drive back home through Unaweep Canyon. 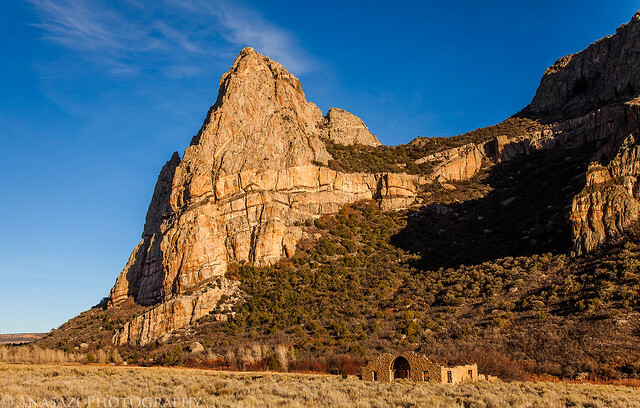 I made one last roadside stop at the Driggs Mansion and Thimble Rock for a quick photo.